Nyungwe Forest is the most ancient montane forest in East or Central Africa characterises this 1000 sq km park. This has allowed a range of floral diversity of great depth with more than 200 species of trees and many flowering plants including the giant lobelia and a number of orchid varieties. The main motivation for visiting the park is to experience the variety of primates, 13 species in all; Chimpanzees, L'Hoests monkey and large troops of Angola colobus are three key species. There are around 300 species of birds of which two dozen are endemic to the Albertine Rift. The most famous bird and a greatly desired TICK on any birders list, is the giant blue turaco who announces his dinosaur like passing with a distinct mechanical flapping of wings overhead. The forest has an easy to follow network of walking trails which cover the forest extensively and allow views of the plentiful waterfalls. 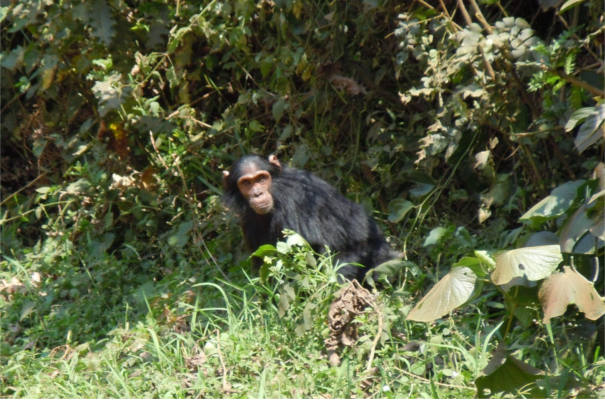 Tracking of chimpanzees has around a 60% chance of success and seeing most of the primates will require a two day stay. The park is only a short distance from Butare and Cyangugu . Most of the accommodation is basic the only high end accommodation is in the newly built Nyungwe Forest Lodge.